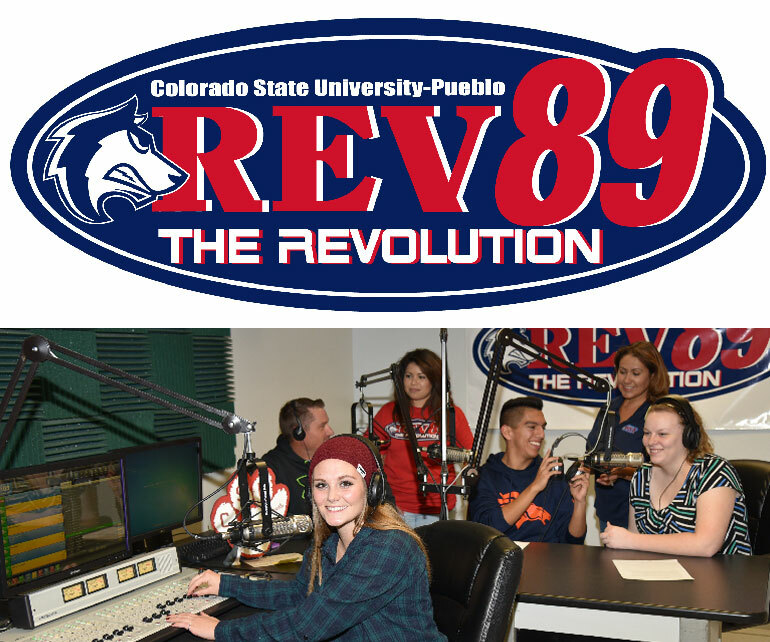 PUEBLO – Colorado State University-Pueblo’s student operated radio station, KTSC 89.5 FM, Rev 89 is ranked ninth in the nation among all non-commercial stations, according to Nielsen Media. Rev 89 has also placed as the third most listened to radio station in the Pueblo market. According to Nielsen Media, the standard for measuring radio ratings in the United States, Rev 89 has a total of 24,300 listeners in Pueblo. The station’s national ranking is based on the percentage of the Pueblo market that Rev 89 reaches (listener potential). Rev 89 penetrates (listener potential) nearly (17.1) 17 percent of the Pueblo market – the 9th best public radio market penetration in the U.S. On average, 800 people tune into the radio station during any 15-minute period, between 6 a.m. to midnight, Monday through Sunday. The average Rev listener spends nearly five hours with the station every week. This ranking is based on “Diary” (hand written logs listeners fill out and return to Nielsen) researched markets in the U.S, which represents a total of 268 markets, those markets existing in every state. Of the top 52 radio markets in the U.S., 48 are researched using the PPM (portable people meter) methodology not “diary” methodology. Rev 89 is available as a mobile app in the Google Play and iTunes App Store. The station streams online at rev89.radio. Currently, 19 student announcers operate the University’s radio station. The Rev 89 is part of the electronic media curriculum in the mass communications department and is staffed by students majoring or minoring in the department. It is funded primarily from station underwriting. CSU-Pueblo is the only University in the state that offers on-campus, hands-on experiences at a public television and public radio station, as well as with print and on-line publications.